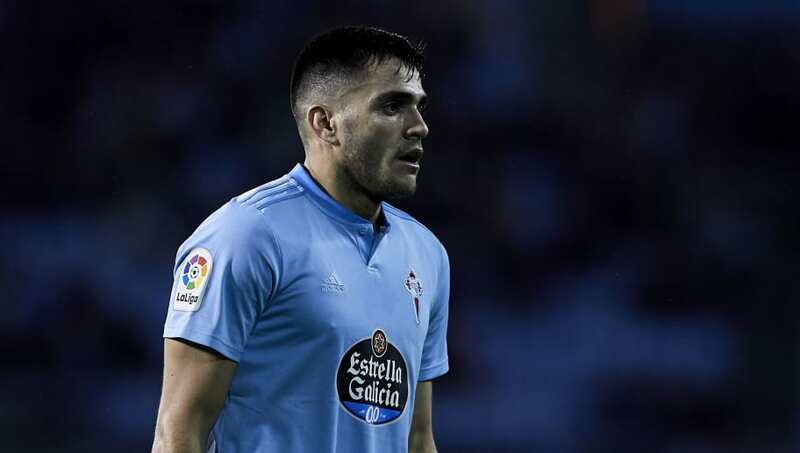 West Ham have made headway in their hopes of signing Celta de Vigo striker Maxi Gómez and local media outlets claim that the Uruguay international is 'on course' to move to London Stadium imminently. The Hammers have been long-term admirers of Gómez and even tried to approach the 22-year-old during the summer, but their valuation was well below the €50m release clause which Celta were demanding be met. Although West Ham still aren't willing to match Gómez's release clause, Galicia Press claim that a deal in the region of €46m (£40m) could be announced within 'a matter of hours' by Manuel Pellegrini's side as they look to sign a long-term replacement for Marko Arnautović. Celta's director Felipe Miñambres made it clear earlier this week that he has no intention of selling Gómez this month, but Galicia Press claim that the 53-year-old is backtracking on his words as there are 'many indications' that the Uruguayan will join West Ham. Gómez has spent less than two years in La Liga following a £3.6m move from Defensor, a team just minutes away from where the forward was born in Montevideo. Since his move, the young striker has scored 27 goals and claimed 10 assists in 54 La Liga appearances, establishing himself as one of the most clinical centre-forwards in the Spanish top flight. He's also muscled his way into Óscar Tabárez's national team where he's made nine appearances for La Celeste. Gómez is yet to start an international match for Uruguay but he did make two substitute appearances at the 2018 World Cup in Russia.